After Opportunity ground a hole in the rock called "Ice Cream" and conducted various scientific experiments, it took this final microscopic image of the hole before driving away. When the image arrived at Earth, scientist discovered that the hole had been filled with dust. Apparently, a blast of wind had picked up some of the tailings produced by the grinding of the rover's rock abrasion tool and swept them back into the hole. In recent months, both rovers have experienced the effects of wind. The Spirit rover on the other side of Mars has tracked the progress of numerous dust devils moving across the plains. 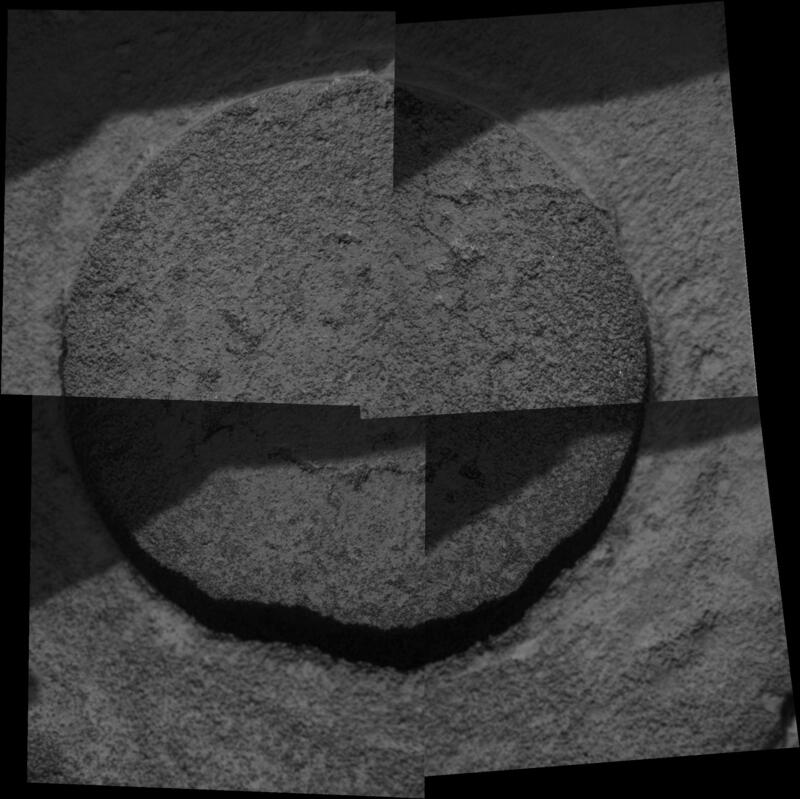 Opportunity took this mosaic of images on martian day, or sol, 549 (Aug. 9, 2005). The area shown is approximately 6 centimeters (2.4 inches) wide. The darker portions in the upper left corner of each quadrangle in the mosaic are shadows cast by the rover's robotic arm.